Exciting news! Fall has most definitely arrived in the mountains of North Carolina. 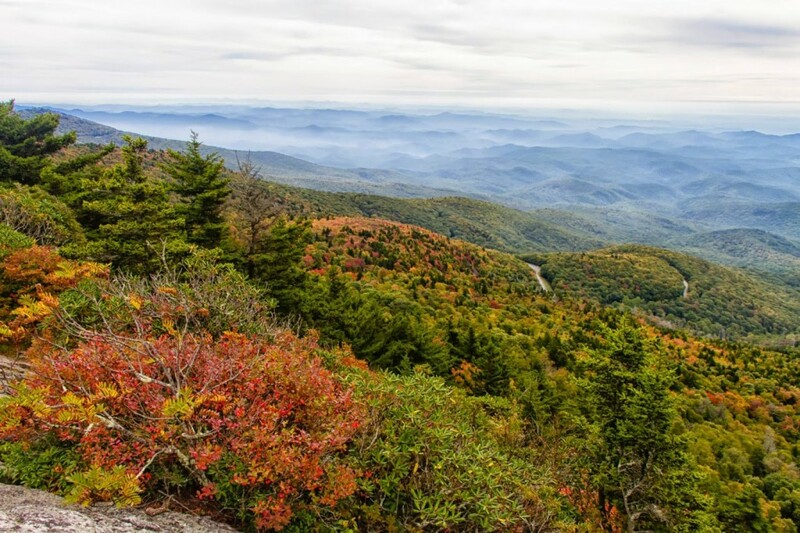 You know what that means…time to begin our annual tradition of weekly fall foliage reports for our area around Asheville, Black Mountain, Old Fort, Pisgah National Forest, and the Blue Ridge Parkway between Mt. Pisgah and Grandfather Mountain! Each Tuesday through the fall season, we’ll let you know which trees are changing and the best places to capture great fall color. 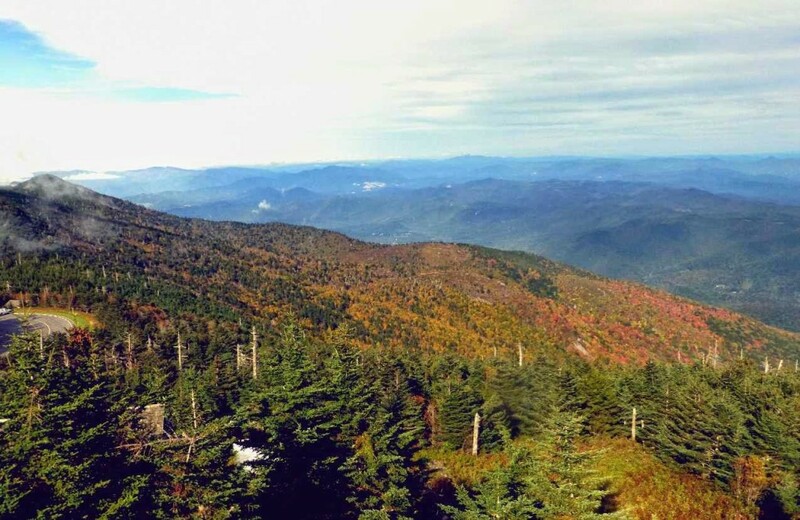 Late September and early October are when the colors begin to change at the higher elevations, above 5,000 feet. This includes the Blue Ridge Parkway. Below that, green is still the primary color near Asheville and points further south. Take note that above 5,000 feet, you will see many evergreen trees and shrubs, such as fraser firs and rhododendron, and so the color of the deciduous trees really pops out against that green. We are actually seeing an early start to the fall color season this year, compared to the past several years, even at our elevation of 2,300 feet. 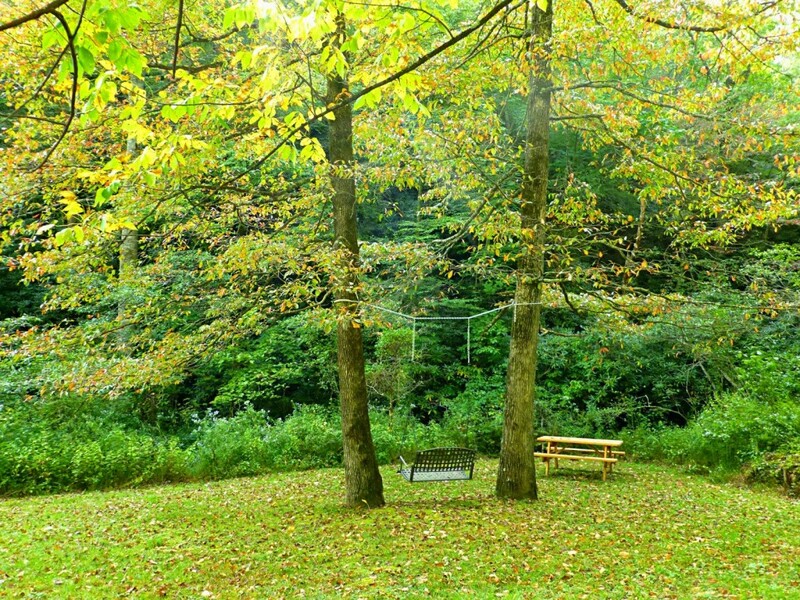 With so many trees surrounding us here in Pisgah National Forest, we always look forward to this time of year. It’s definitely shaping up to be a pretty fall. 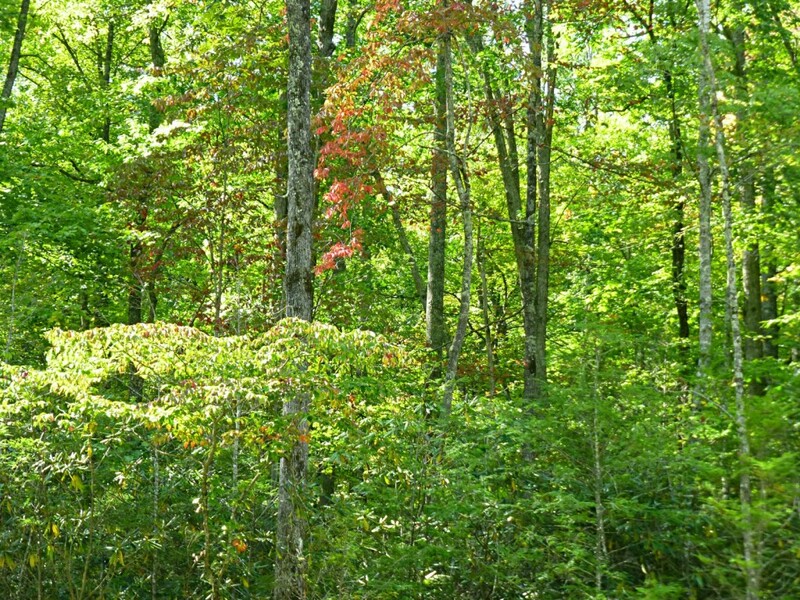 The sourwood trees are starting to show off their red leaves, along with the dogwoods, and the walnut and butternut trees have that crisp yellow to their leaves now. 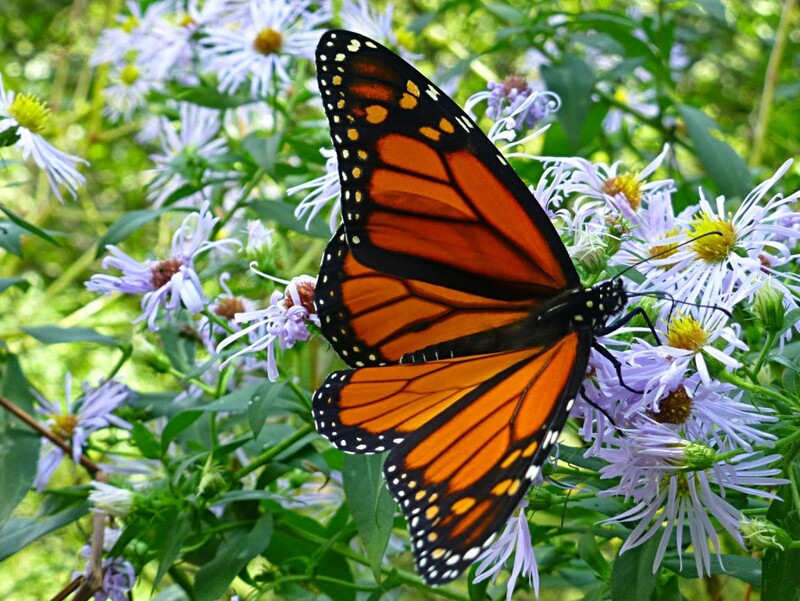 In addition, the burning bushes, forsythia, asters and goldenrod are adding to early fall color at our elevation, along with migrating monarch butterflies! If heading up to Grandfather or Mt. Mitchell on a weekend, prepare for serious leaf peeping crowds. You may want to try Linville Gorge instead, which is close to Grandfather Mountain, if you want to avoid large numbers of people. Or go late in the afternoon to Mt. Mitchell, when the chance of crowds is lessened. This entry was posted in Uncategorized and tagged Autumn / fall foliage, Blue Ridge Parkway, outdoors by Inn on Mill Creek. Bookmark the permalink.